Ted currently spends his time on investment committee work and acting as a resource to management of the Chicago Capital Partners portfolio companies. Ted also serves as Co-President of Kovitz Investment Group where he has worked on the firm’s alternative investment offerings in addition to assisting in the management of the finance and operations functions of the firm. Outside of his work with Kovitz Investment Group, Ted has served as Chief Financial Officer for a regional coffee & tea distributor. Ted is currently a member of the Economic Club of Chicago. 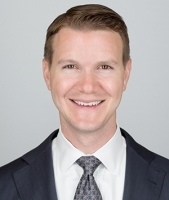 He received his Bachelor of Science degree in Finance from DePaul University in 2002 and his MBA in 2009 from the Kellogg Graduate School of Management at Northwestern University with concentrations in Entrepreneurship and Management & Organizations.